A big thank-you has to go to Matt from Dentons who came along with his family to help serve our guests of Whitechapel Mission on a special Easter Day. 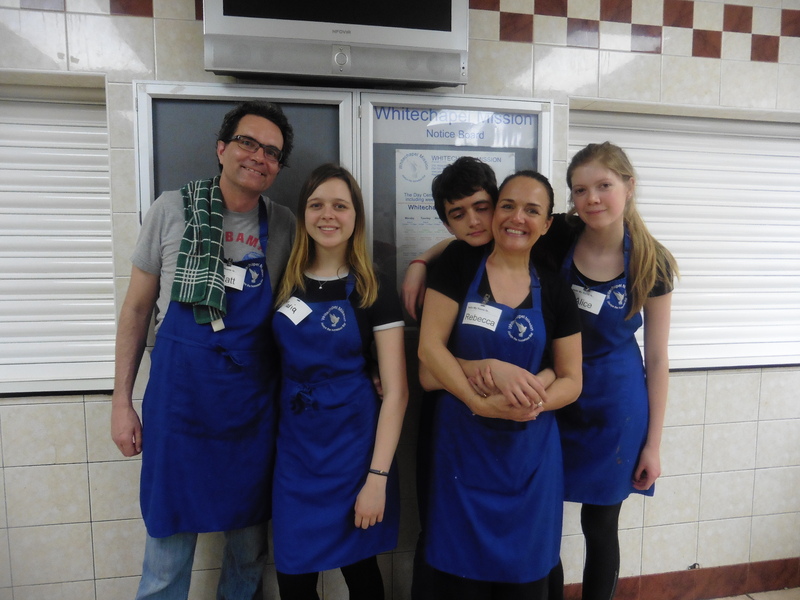 Even though the clocks sprang forward one hour, so they lost an hours sleep; he, his wife Becca with teenagers Luke, Alice and Maria arrived at silly o’clock to serve our guests. You brought with you such enthusiasm and energy, it lifted the whole morning. thank you, it was good to be part of your morning. Especially Luke with his “bunny ears and whiskers”. 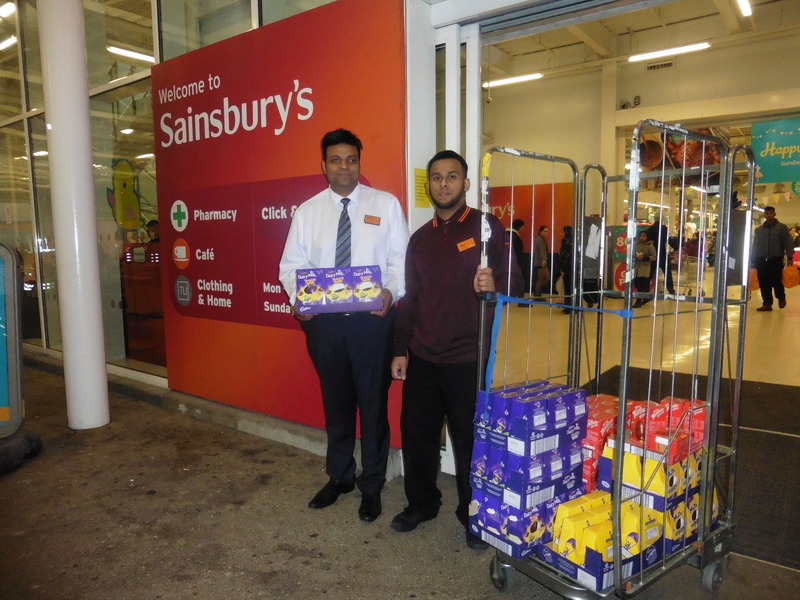 As a extra special treat, Rob McCracken the manager at Sainsbury Store Whitechapel very kindly donated Hot Cross buns and Chocolate Eggs for the volunteers to give out. It’s such a nice gesture, it does really make a difference to let our people know that someone, somewhere are thinking of them. Massive Thank you has to go to Sainsbury’s Whitechapel. Wishing you all a Happy Easter full of new beginnings.